Hosahalli, Billamaranahalli is located in close proximity to various IT parks of Bangalore. Being so close to IT hubs give access to commute to the destination easily. Moreover, the bus deports are nearer to the location where the project has come up which make the travel to desire destination easy. Hosahalli has located and is surrounded by various renowned schools and colleges such as Cambridge English School, Narayana PU College, Jayhind PU College and Saint John’s College for Pharmacy. When it comes to a hospital and pharmacy then Gia Hospital, Sri Krishna Hospital, and Star Hospital are also in close proximity to this abode. Hotels are within the radius of 7 Kms and there are many other places of entertainment near it including shopping malls and movie theatres. 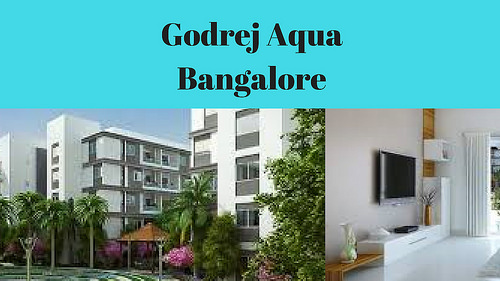 Godrej Aqua Amenities : There is a state of art clubhouse for residents’ reunion, a multi-purpose hall for celebrating special days together and a large common room. 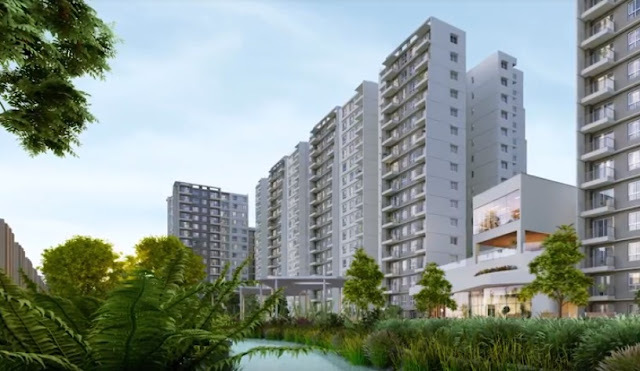 For healthy mind and body, the developers have availed jogging tracks, Yoga Deck, Badminton Court, Table Tennis Court, Skating Rink, Basketball Court, Kid’s Play Area, Gymnasium, Swimming Pool and many more Indoor games. There are beautifully landscaped gardens inside the township apart from scenic land outside the township boundaries. Lift availability, 24 hrs DG back up, Sports Court, Cricket Net, Jacuzzi and much more . Specifications like RCC frame structure, OBD in light shade, Anti Skid tiles in toilet, Oil repellent tiles in kitchen, Premium quality sanitary fittings, PVC covered drainage system and much more. The amenities offered in Godrej Aqua have been decided after prior consultation with those who would be living there. The rates of the individual units would be available upon request. The project offers 1, 2 and 3 BHK variants for the clients to choose from. The apartments have been equipped with all the latest technology and beautiful interiors.Price will be affordable making it a worthy investment.